Social media is very important for business! It’s a place to share your knowledge, business doings, and much more. It’s well known that you shouldn’t spend most of your time on social media in “sales mode,” but how do you post graphics that still get attention? 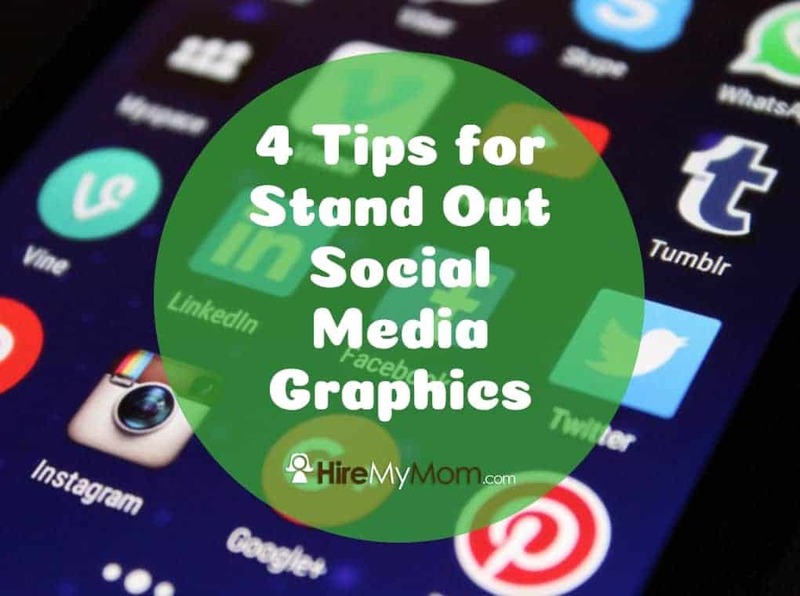 If you’re not sure where to start, read below for some tips for social media graphics that stand out and engage your audience. When you’re choosing text, make sure it’s easy to read! Script fonts can be okay, but use them sparingly. The goal is for your information to be read, and your audience will get frustrated by overly fancy fonts. Make sure the font is large enough to read as well, so that readers can comfortably see the text at a distance. Additionally, you’ll want to ensure that there’s not an excessive amount of copy. Most graphics programs will have a number of fonts to choose from, such as Canva.com. This is an easy-to-use graphics program that you can pick up in just a few minutes. It’s free to use, and they feature many fonts, colors, photos, and more. Lastly, you can create graphics of the right size in Canva. They feature layouts (with correct sizing) for Facebook event covers, blog posts, social media posts, posters, and so on. This way, you’re designing with the correct proportions. Whether it’s too many colors or colors that simply don’t jive together, be careful with color! Canva event put together a helpful article that provides color combinations that work. Sometimes you’ll want a natural vibe, or a more modern pop vibe, and this can help you with that! You can also get inspiration from magazines, nature, and art – just be sure that you’re checking the balance of color, brightness, and mood of the post. Your image can make or break your graphic! Although images are very important, they must be sourced legally. Make sure you’re utilizing a paid membership site such as Adobe Stock, or get free images on sites such as Pexels or Pixabay. Whichever site you use that’s free, make sure your images are royalty free for your use. Once you’ve found a site or two for graphics, choose the right one. Make sure it’s making an impact and giving off the right vibe. If you’re going to write over an image, make sure the image and text color is contrasting enough, or pick an image with enough negative space for text. Once you create your image, share it! You can do this on your business or personal page, and have your employees do the same. If you’re posting images to your blog or on other websites, make sure you have a social media “share” bar involved, so the graphic can go to Facebook, Twitter, Instagram, and Pinterest easily. The more eye-catching, helpful, and relevant your image is, the more likely it is to be shared. More shares = more business and recognition!